Under Barack Obama’s leadership the Department of Energy spends over $11 million per green job. A new report by the Institute for Energy Research (IER) has shown that despite strong support from the Obama administration, all funded by tax payers, the green energy sector has struggled to grow, and created very few jobs. 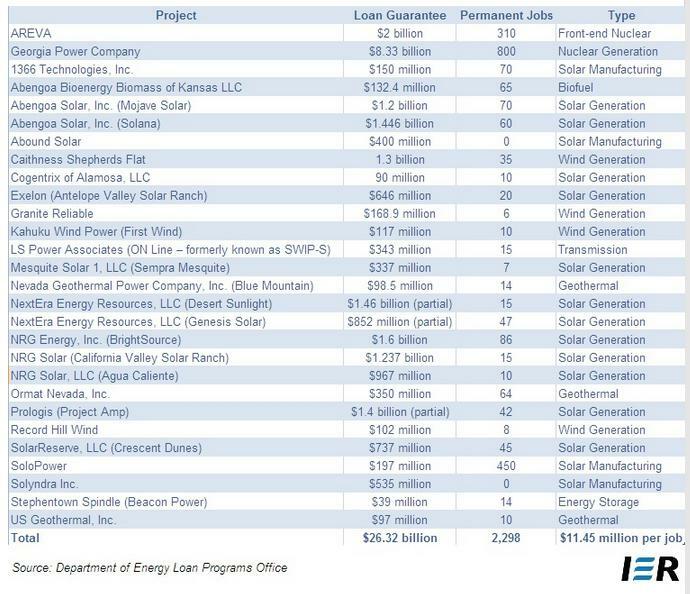 The report notes that since 2009 the Department of Energy has invested nearly $26 billion through the Section 1703 and 1705 loan programs, and in that time only 2,308 permanent green jobs have been generated, meaning that each new green sector job cost the taxpayers $11.25 million. 80% of DOE dollars went to Obama backers. 19 of these green energy companies went bust. Another green boondoggle, Vehicle Production Group, linked to an Obama donor, went bust this week.